Last week Flickering Myth’s Amon Warmann was lucky enough to chat with legendary Batman voice actor Kevin Conroy about the latest instalment in the DC Universe Animated Original Movies line Batman and Harley Quinn. During the discussion, they also spoke about their favourite Batman movie – 1993’s Batman: Mask of the Phantasm. 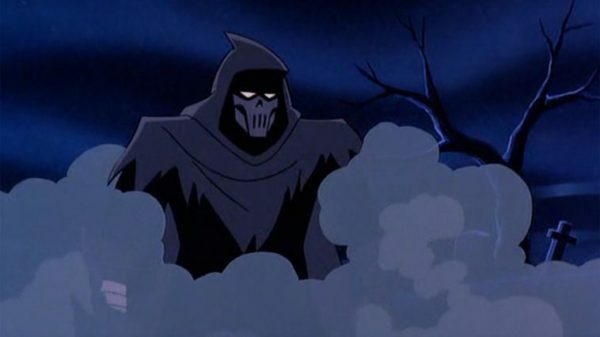 Amon Warmann: My favourite Batman movie – animated or otherwise – is Batman: Mask of the Phantasm. What are your memories of working on that? Kevin Conroy: I agree with you – I think that is the best Batman movie, live action or animated. You get the whole genesis of the Batman story in that one film. And then you’ve got the drama, falling in love with Andrea Beaumont, wanting to have a normal life, pleading with his parents grave to release him from the vow and then realising he’s doomed to avenge their deaths. He’s trapped in his fate. It’s a great, classic, tragic movie. When you work on things like that you don’t realise you’re working on something that’s going to become so iconic. We recorded that movie and it was just like “Oh great, we get to record a Batman movie, this’ll be fun”. None of us knew that it was going to become this time tested iconic film. Batman and Harley Quinn is based on an original story by Bruce Timm and sees Kevin Conroy and Loren Lester reprising their Batman: The Animated Series roles as Batman and Nightwing respectively. The Big Bang Theory’s Melissa Rauch lends her voice to Harley Quinn, while the voice cast also includes Paget Brewster as Poison Ivy, John DiMaggio as Swamp Thing, Jevin Michael Richardson as Jason Woodrue and Eric Bauza, Rob Paulsen, Mindy Sterling, Robin Atkin Downes and Trevor Devall. Batman and Harley Quinn is out now on Digital, Blu-ray and DVD.